Sometimes Load cells get damaged and the bridge is no longer balanced. This in turn leads to large voltage offset which limits the full scale measurements or worse makes any measurements impossible. 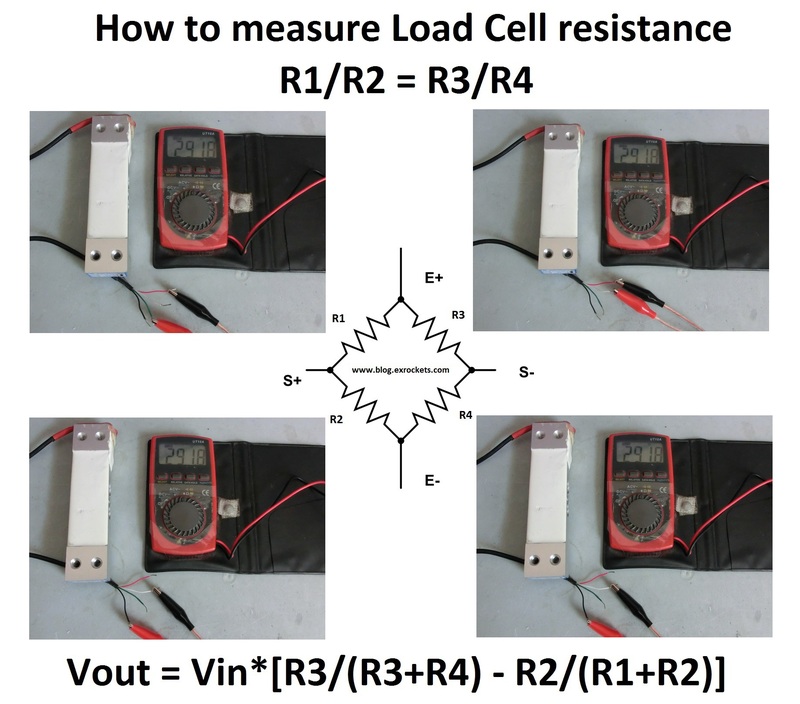 An easy way to check the bridge resistance is with an Ohmmeter. The following schematic shows how to do it. 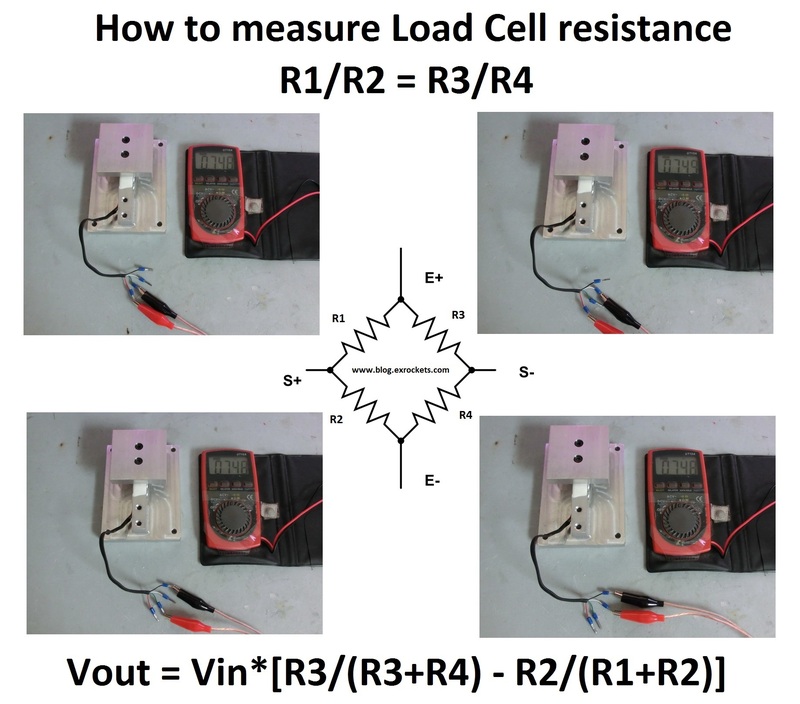 Just an approximate figure – any absolute difference in the ratios of R1/R2 and R3/R4, larger than ~0.004 will render the load cell useless. Of course it depends on Amplifier Gain, Load cell output to input ratio etc. This entry was posted in ELECTRONICS and tagged BRIDGE RESISTANCE, CHECK LOAD CELL, LOAD CELL. Bookmark the permalink.